After its successful Speaking Tour last year, GCL organised another Tour to various Caribbean countries. Barbados, St. Vincent and the Grenadines and Dominica were selected initially, but the latter was substituted by St. Kitts and Nevis after Tropical Storm Erica severely affected this country in September. It was GCL’s first formal visit to St. Vincent and the Grenadines and St. Kitts and Nevis. GCL was represented by Carmelo Campos-Cruz, Deputy Chair. He was accompanied by Bill Pelke, President and Cofounder of Journey of Hope…From Violence to Healing, an organization led by murder victim family members who are opposed the death penalty. The objectives of the tour were to raise awareness of the inhumanity of the death penalty; of its ineffectiveness as a crime reduction strategy; to meet with persons and institutions committed to working towards abolition, with the purpose of gathering first-hand information about the situation affecting our campaign in each country included in the Tour;and to establish a formal relationship with these individuals. GCL’s Tour commenced in Bridgetown, Barbados, where Carmelo and Bill were interviewed by journalists from Caribbean Broadcasting Corporation (Channel 8), Barbados Today and Daily Nation. Lively meetings were conducted with religious leaders, including Anglican Church Archdeacon, Eric Lynch; Canon Noel Burke, Chair of the Barbados Christian Council; and Reverend Cuthbert A. Edwards, Superintendent Minister of the Methodist Church. 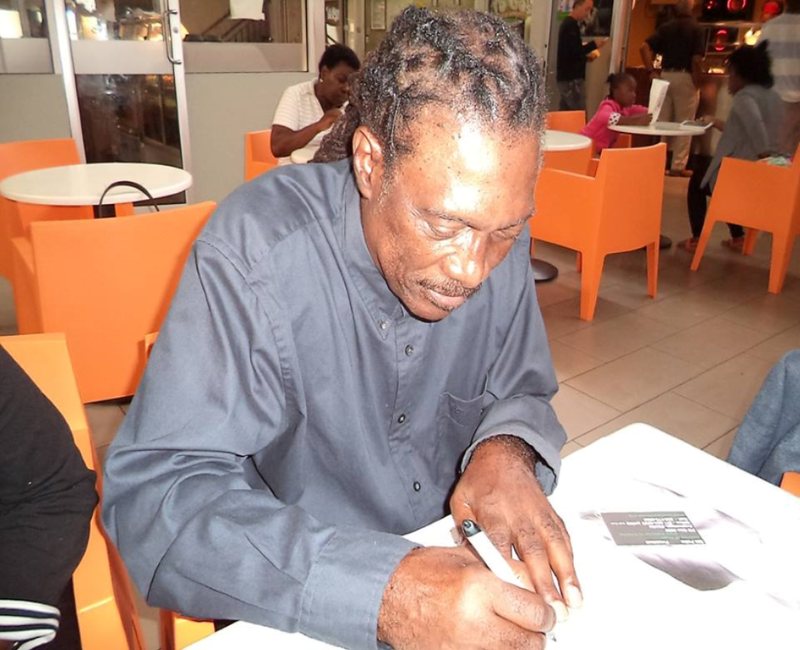 Legendary Barbadian composer and singer, Dr. Anthony Gabby Carter (a.k.a. Mighty Gabby), joined GCL and offered to write a song against capital punishment. 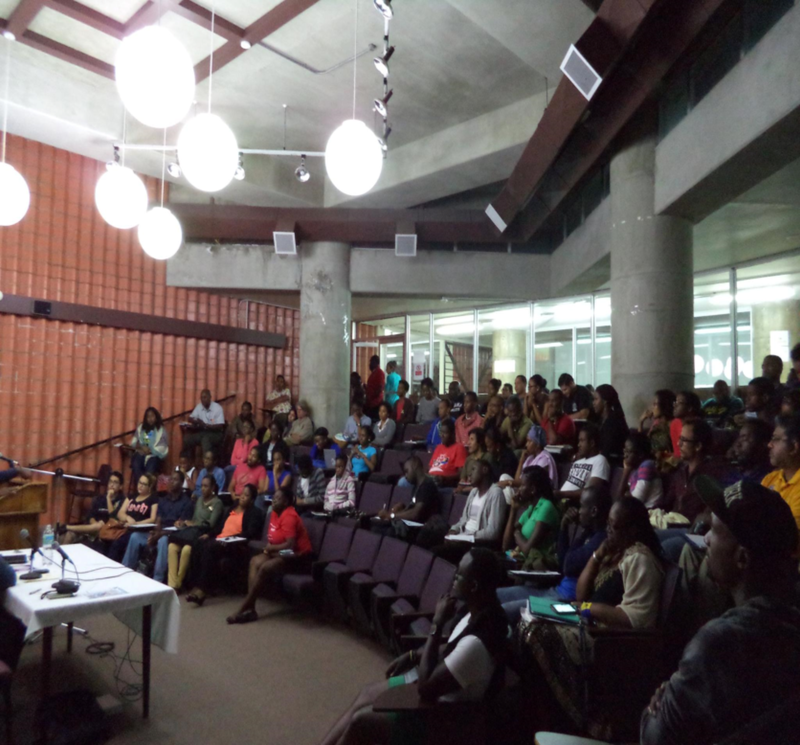 A conference was held at the Faculty of Law, University of West Indies at Cave Hill on 9 November. More than 90 law students from various Caribbean countries attended and the discussions were spirited. Mr Westmin R.E. James, Deputy Dean (Postgraduate and Research), addressed those gathered about the legal situation regarding the death penalty in Barbados. After a dynamic Q&A session, some students approached Carmelo and Bill and revealed that before the conference they were on the fence in this issue, but after participating in the conference, they have shifted their position and now oppose the death penalty. James Mc Gregor Millington, a student from Barbados joined GCL, becoming the first person from this country to join our organisation. Many others expressed their intention of joining GCL. The Tour continued to Kingstown, St. Vincent, where Carmelo and Bill had the opportunity to meet with Bishop Calvert Leopold Fridayof the Anglican Church. He shared with them a thoughtful analysis of where the Vincentian society stands in this issue.” The media and religious leaders were also contacted to promote GCL and the abolitionist campaign. The last stop of GCL’s Speaking Tour was Basseterre, St. Kitts. There Carmelo and Bill had an opportunity to have an animated meeting with Sir Probyn Inniss, a prestigious lawyer and former Governor of St. Kitts, as well as Angela J. Inniss, who has represented defendants in three capital cases over the last years. They shared their concerns about the difficulties faced by lawyers representing defendants in capital trials and the need for legal resources and training programmes relating to such cases. 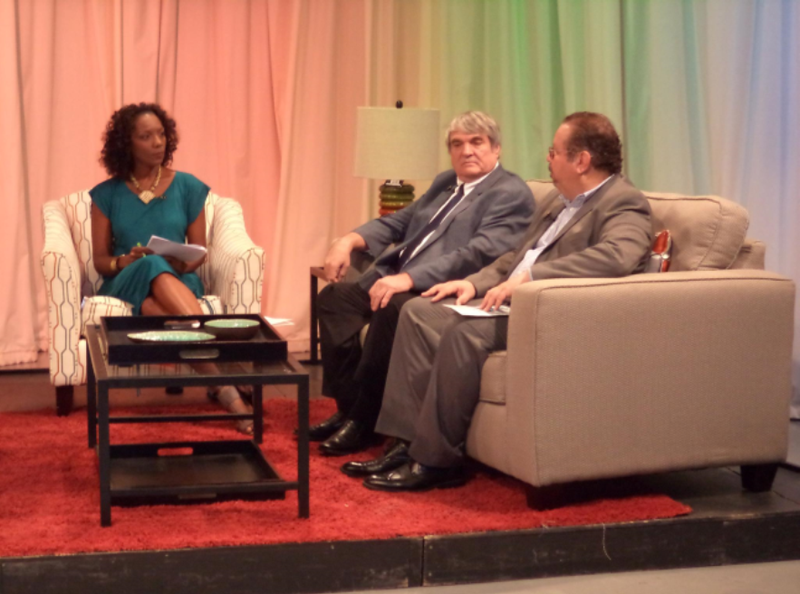 Carmelo and Bill were also interviewed by Jaedee Caines, of ZIZ TV (Channel 5) for the evening news segment of this public station.